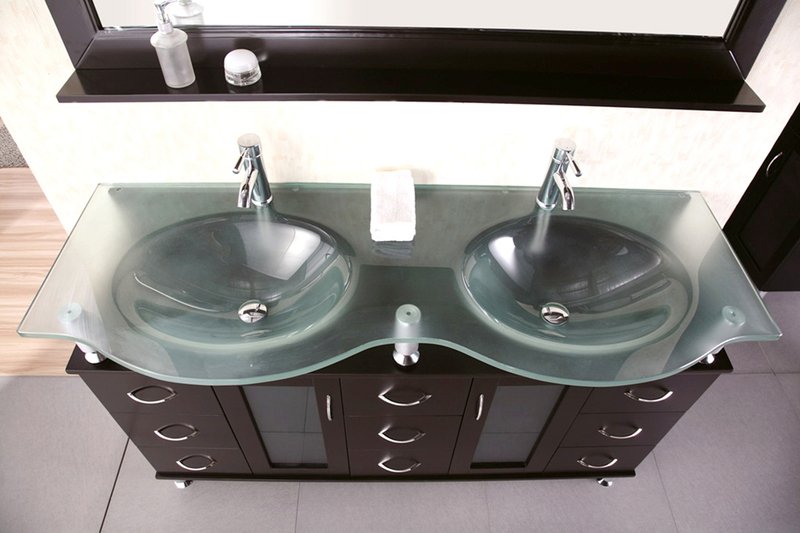 The 60" Huntington Double Vanity puts function and form to the test with its beautifully designed cabinet with ample storage space. Featuring a solid oak constructed cabinet finished in an Espresso finish, this vanity offers 9 fully-functional, soft-closing drawers of storage space, along with 2 single-door cabinets accented with satin nickel finished hardware and glass inserts. The countertop of the Huntington is what makes it unique, with a tempered glass integrated sink top elevated by satin nickel finished beams.